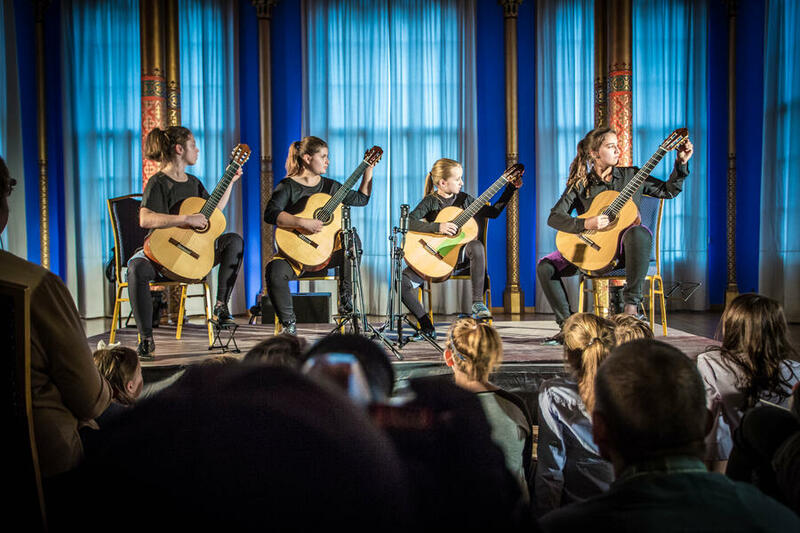 The mission of the Wrocław Guitar Society, the organiser of Guitar Masters 2016 (previously known as Gitara+), is the promotion of guitar music and guitarists. During our festival we present not only the greatest stars of the guitar or prominent, albeit lesser known to the general audience instrumentalists, but also musicians, who are only just beginning their careers. We would also like to support the youngest talents. Therefore, for several years we have been coorganising the Youths Stage. The concert as part of this year's edition of the Youths Stage will feature students of music schools from Poland and from Germany. 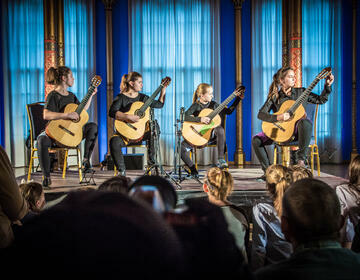 You will be able to listen to young guitarists both solo and in ensembles. Quartet Gitarre - Mandolinequartet: – przygotowanie zespołu Katja Brunn: Gabriele Harnisch (mandolin), Rebecca Henze (mandolin), Samuel Leichsenring (guitar), Manuel Richter (guitar).